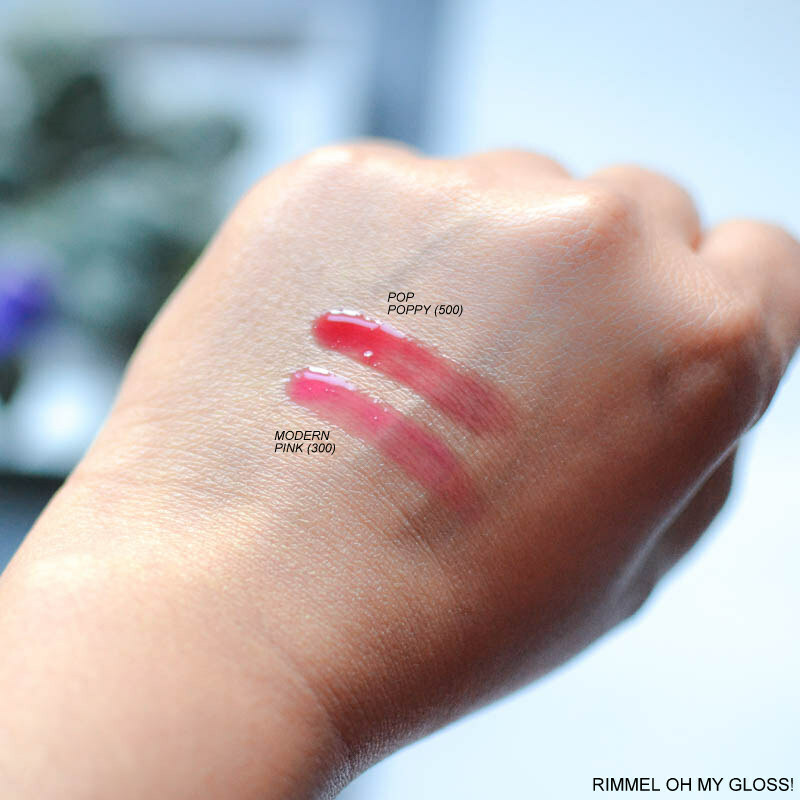 Rimmel Oh My Gloss! Oil Tints are lipglosses blended with 4 lip-friendly oils for a moisturizing, ultraglossy finish that feels amazing on the lips. I got to try out two of the colors in this range - Modern Pink (300) and Pop Poppy (500). 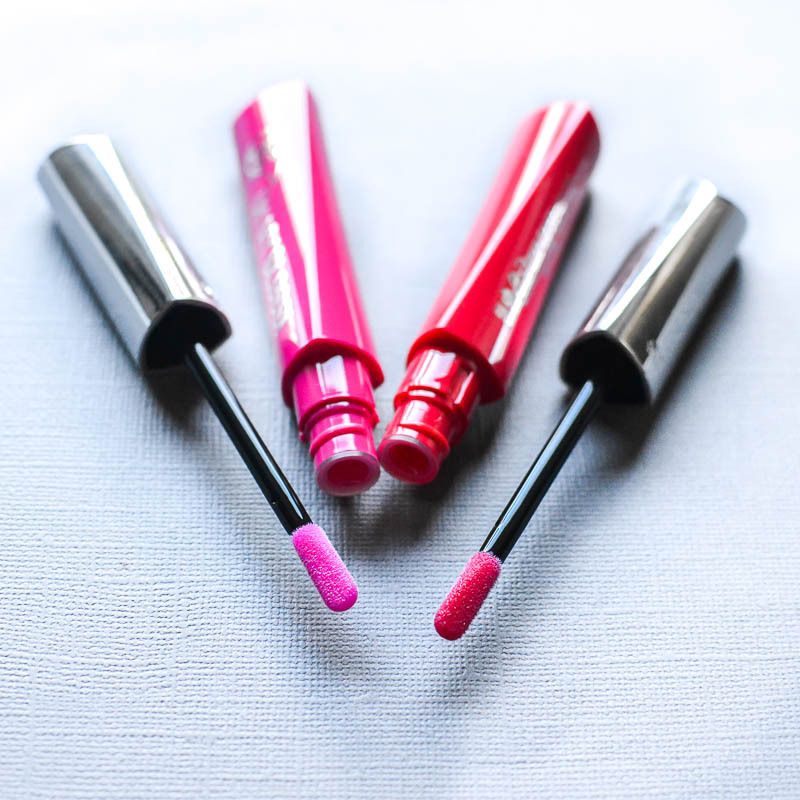 These oil-tint lipglosses come in standard gloss packaging - tubes which match the colors inside and flocked applicators. 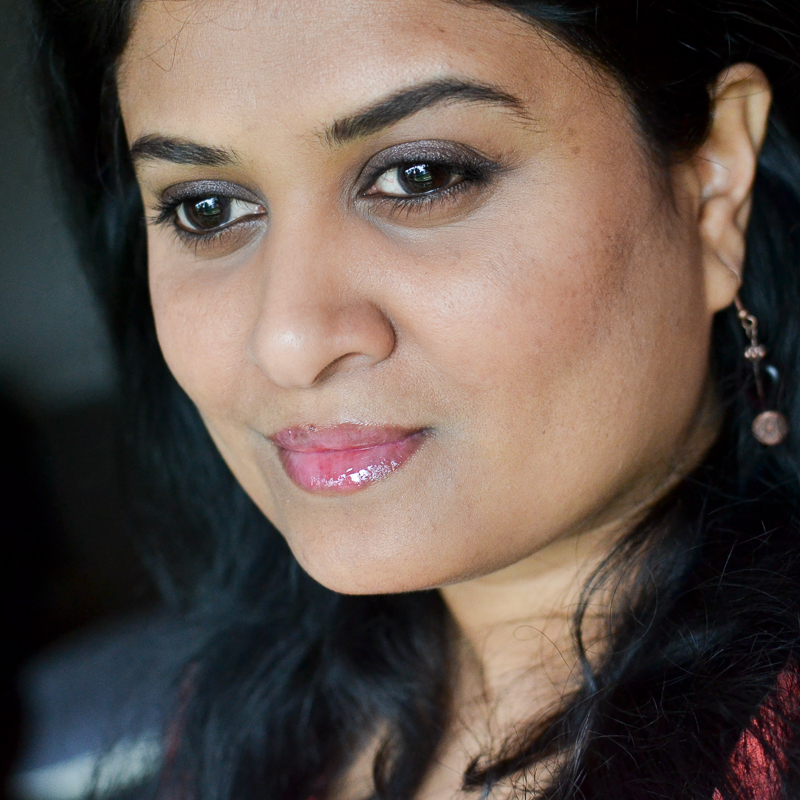 While the formula is a sheer gloss, the colors do show up quite well even on my pigmented lips. Scroll on for more. I love lipglosses, especially glossy pops of color minus any shimmer, so for me the Rimmel Oh My Gloss! Oil-Tint lipglosses are easy winners. The formula feels light on the lips, and despite how sheer the product looks, it shows up reasonably well even on my pigmented lips. The pics above show the gloss applied directly on to lips with no lipliner to even out the color, but I have to admit I generally prefer using these over a lipliner, but only because my lips are quite unevenly pigmented. 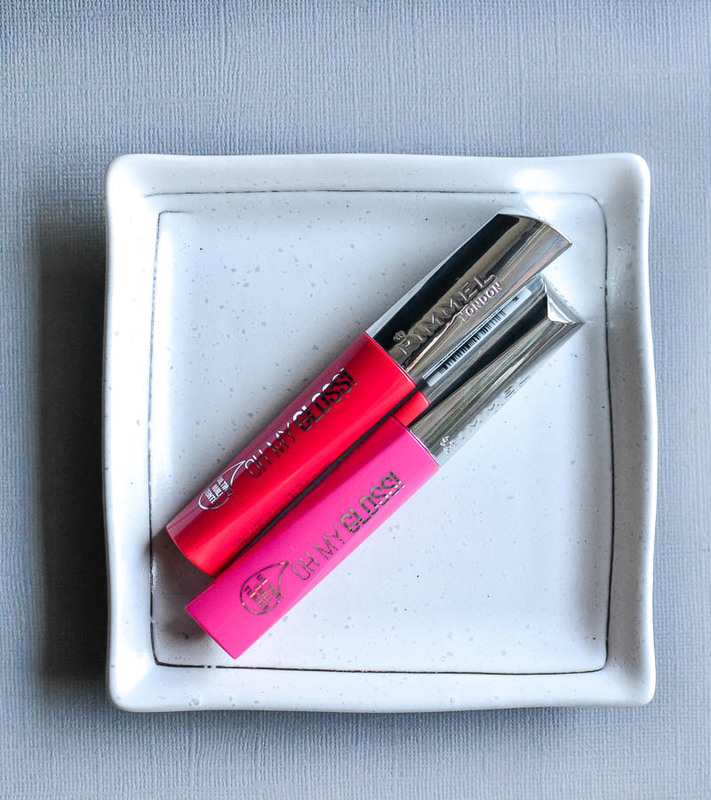 The best part about these lipglosses, though, is that the glossy finish wears off (in about an hour or two) into a lovely even stain without actually settling into lip lines or creating uneven patches. I have lips that get very dry/chapped quite easily, and these lipglosses didn't exaggerate those dry patches or cause any further drying on my lips. Overall, a great pick if you are looking for easy-to-wear fun lipglosses for the spring/summer. Hey Aarthi! It will show up on your lips too...it's just how these glosses are made, I think. I have tried the YSL oil glosses, and those have the same effect, so am guessing it's got something to do with how the pigments are mixed in the gloss. 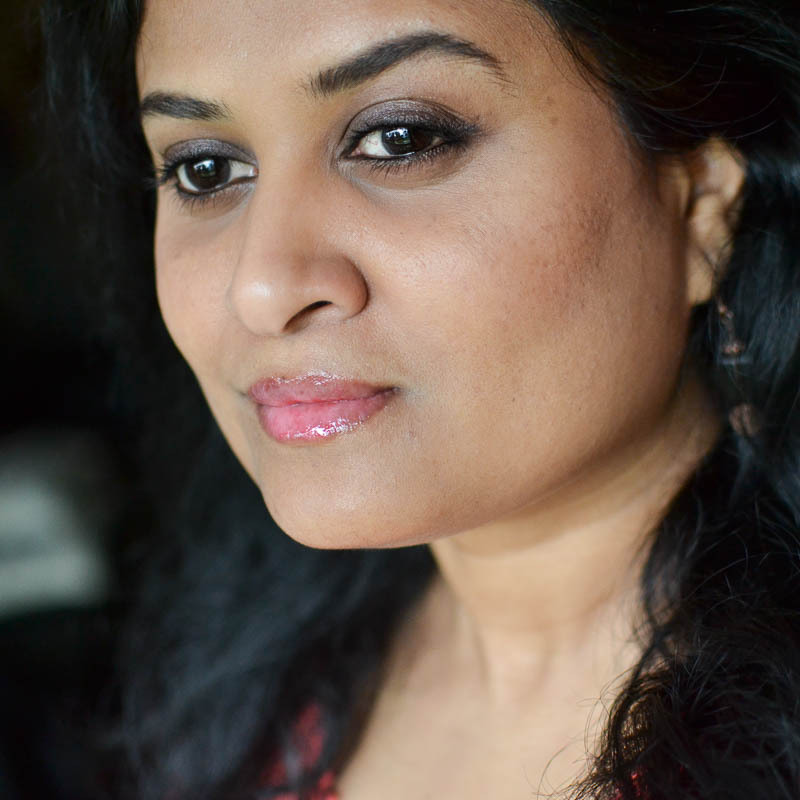 Of course, not like a lipstick - more like a tinted balm (though actual tinted balms do not show any tint on my lips). The pigmentation hasn't gone anywhere...it just looks lighter some times. I think it helps to keep hydrated and use a lip balm (I use Rosebud Salve), but I don't think there's anything else to do about the pigmentation on my lips. I use a lipliner if I want to even out the color, but generally I don't bother about it.